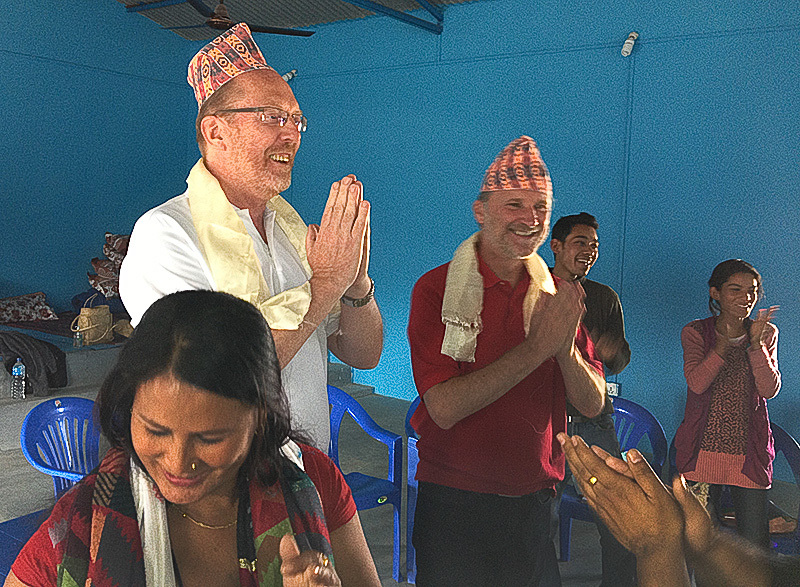 Håkan celebrates Holy Communion as our 2 week visit to Hetauda comes to a close. In 1 Corinthians 11:14 we find a simple model of how the service of the first Christians was celebrated. These took place in their homes, oikos, always in connection with meals. We celebrated the service with our friends at the course plus a few others! 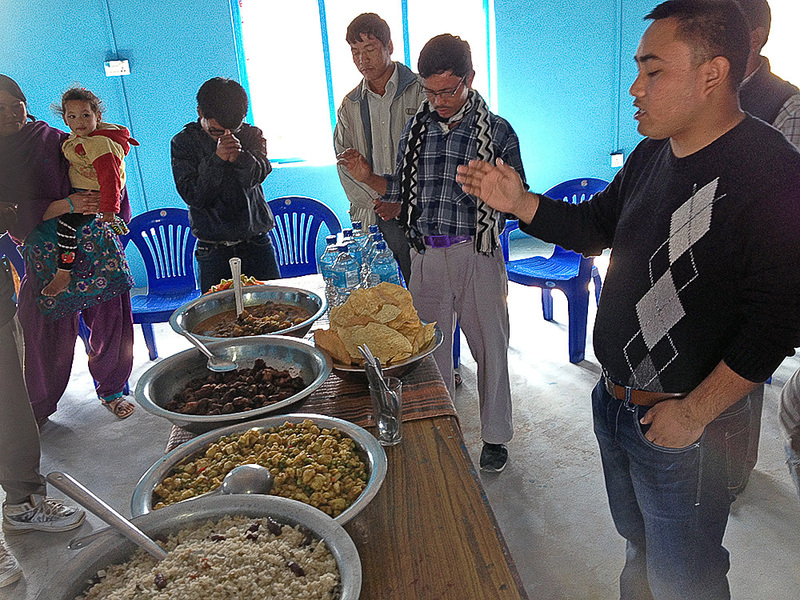 Bijay prays over the food before we eat together – such a tasty and lovely meal! 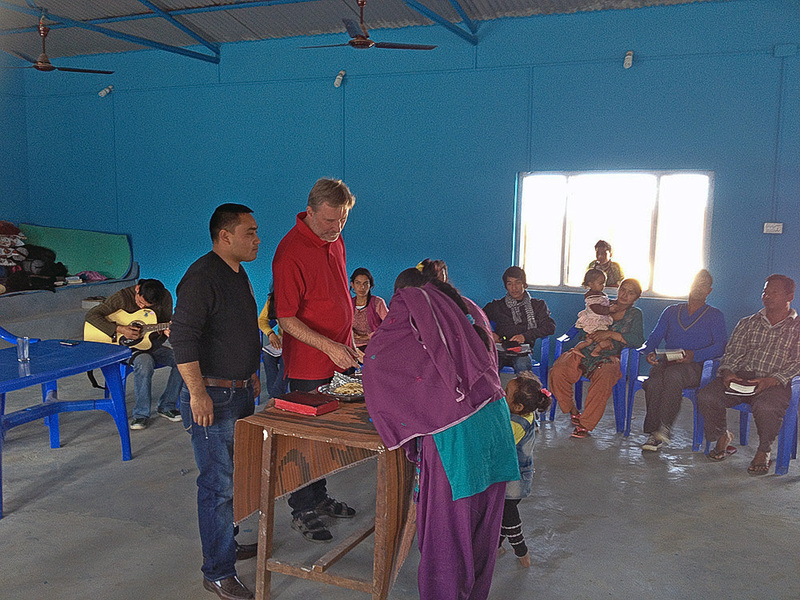 Before the service lunch was served and after the service there was Tea, Then we had the the opportunity to listen to stories about Jesus. 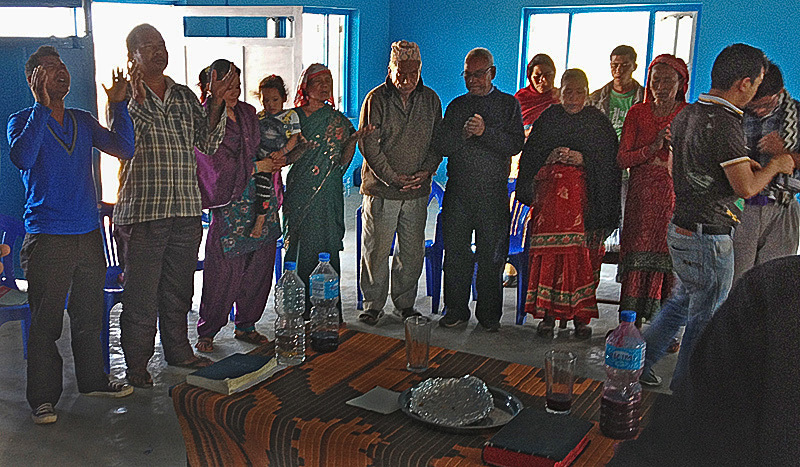 First how pastor Moses and his wife were saved, and then how one of their elders found faith in Jesus Christ. Every persons story is a miracle in its own right. We were thanked properly, in due course! Some heads are absolutely not made for Nepalese fashion! 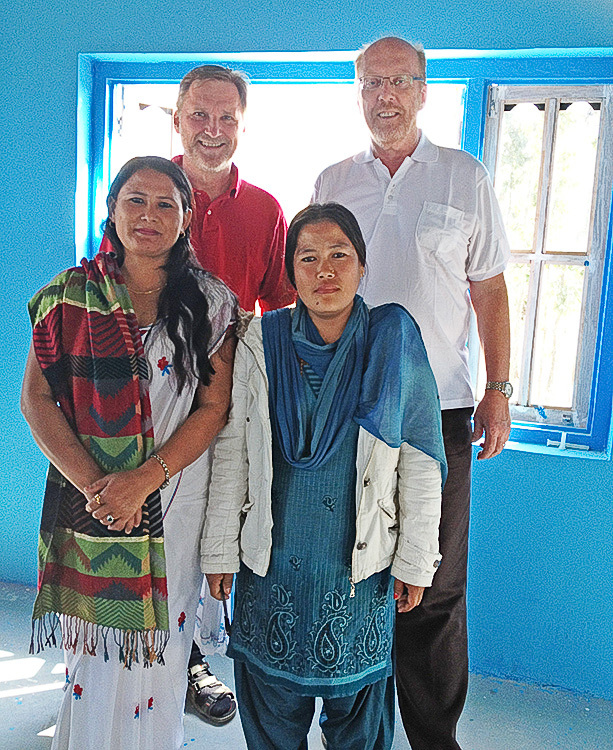 Håkan and Hans with two leaders/ a pastor/ in the church at Sarlai. 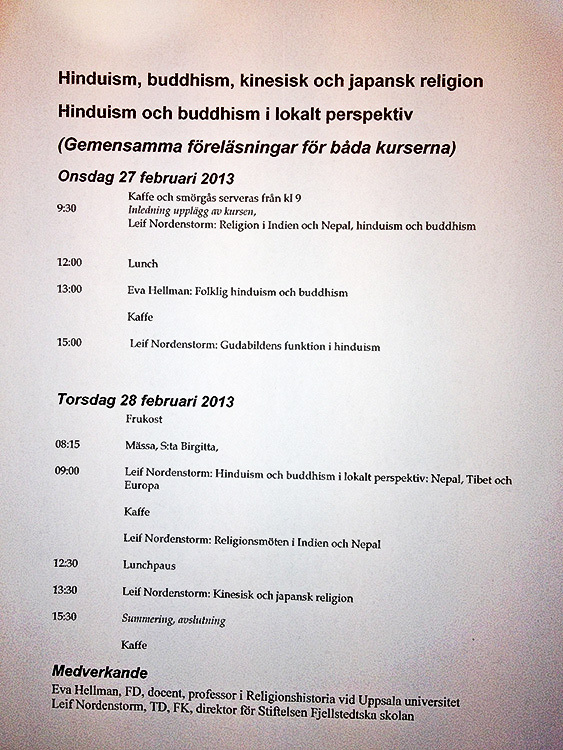 After the journey some of the teachers met for days deeper prayer and talks, but also for an academic studies at Fjellstedtska skolan in cooperation with the academy of Johannelund. 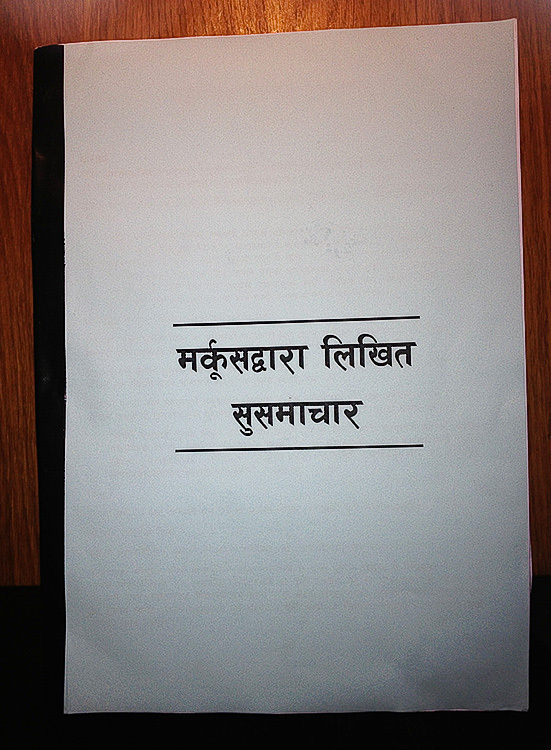 The theme was Hnduism and Buddhism from a Nepalese context. We seek to be good at communicating the message of the Bible to people with a completely different background. 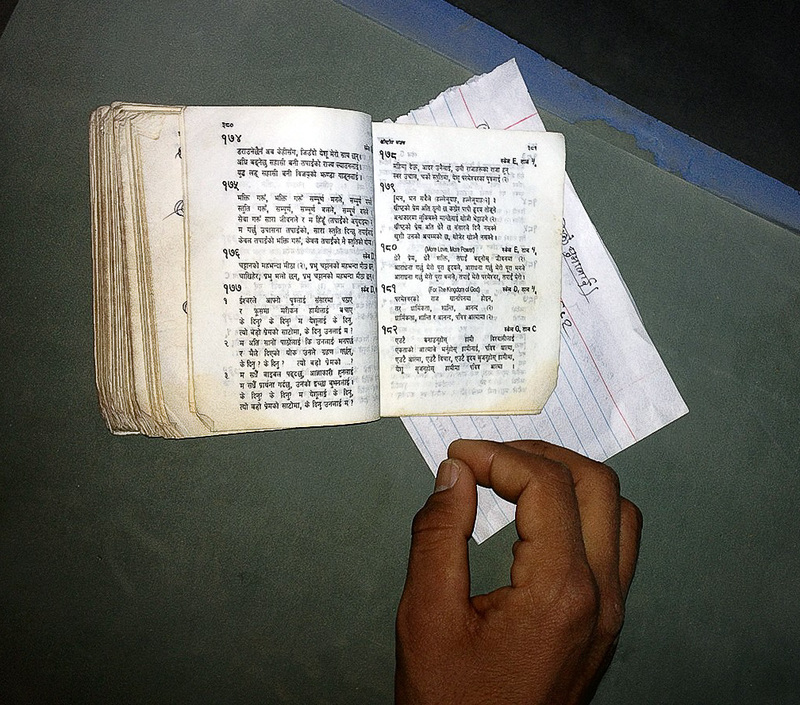 Note the Nepalese book. 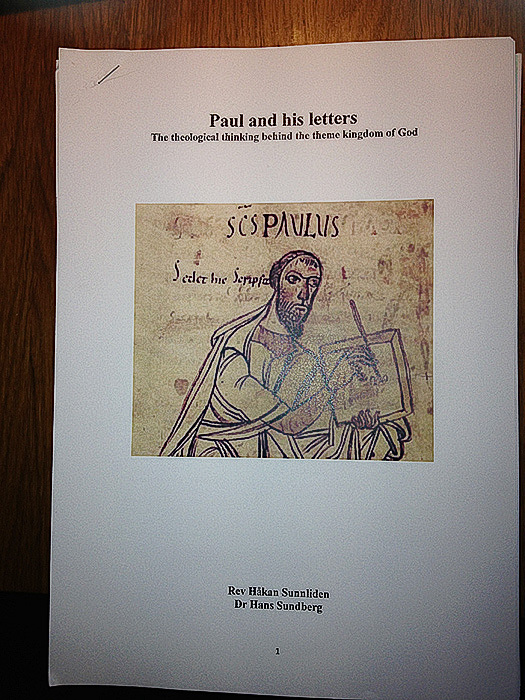 It contains our introductory texts, translated and printed for those who took part in the courses – about Matthew and Mark and about Paul, his life and his letters. Quite close to the church where our courses take place is a cement factory. It most certainly is in need of more cleansing filters to protect all those who live in the neighbourhood. 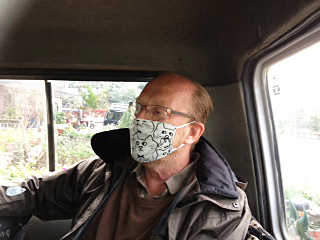 We have just had a great answer to our prayers as we´ve just learned that the factory has closed to install better air filters! 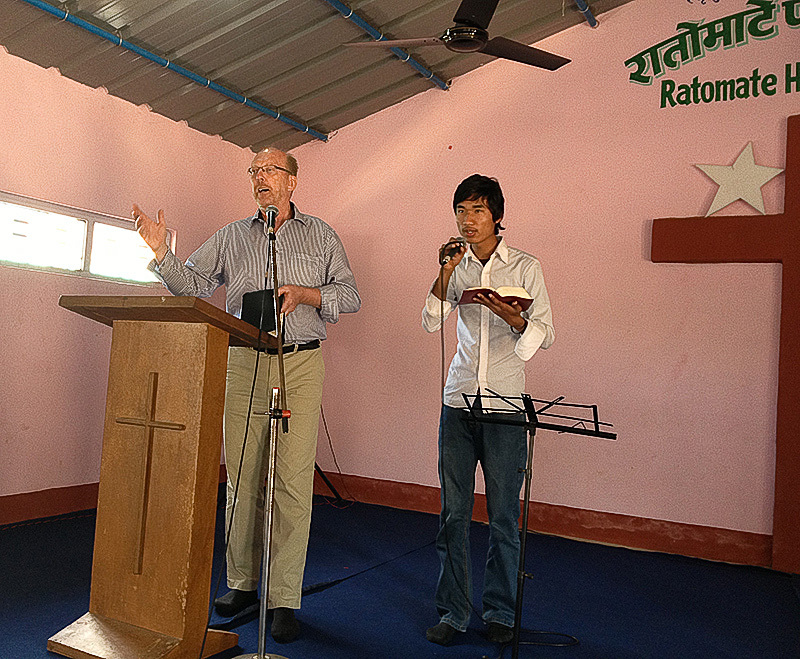 PLT is a freestanding missions organisation built upon traditional christian evangelical faith. To get in touch with us: see the menu "Staff"